The legendary design label Minotti was foundend by Alberto Minotti in the fifties and represents solidity, functionality and know-how. Since 1997, Rodolfo Dordoni is the creative leader at Minotti. Like no other he understands how indoor and outdoor furniture has to blend in. And that's exactly what Minotti pursues. 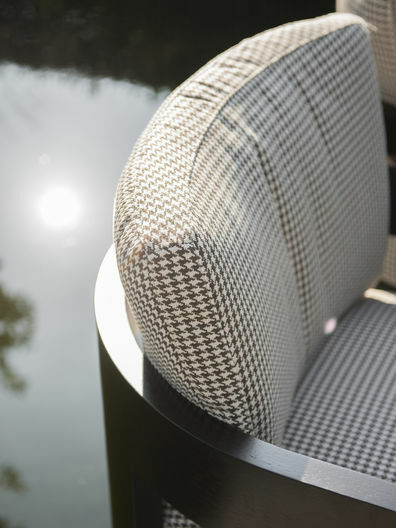 They produce outdoor sofa's and chaise longues that make you wonder whether they are meant for indoor or outdoor use.